Riverside Transmission Center specializes in Transmission Diagnostics & Transmission Repair, and our technicians are the experts. 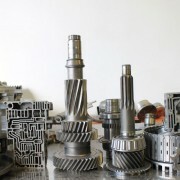 We’ve been Rebuilding Transmissions and Repairing Transmissions for over 30 years. When Riverside Transmission Center rebuilds your Transmission, there’s no fear of a defective replacement unit because it’s rebuilt using the original unit or re-manufactured exchange by an on-site expert technician. If you’re like many drivers you may follow the factory maintenance schedule while your Car or Truck is under warranty, but once your warranty expires it’s easy to let proper maintenance slip – just when it’s most critical!